Hello! 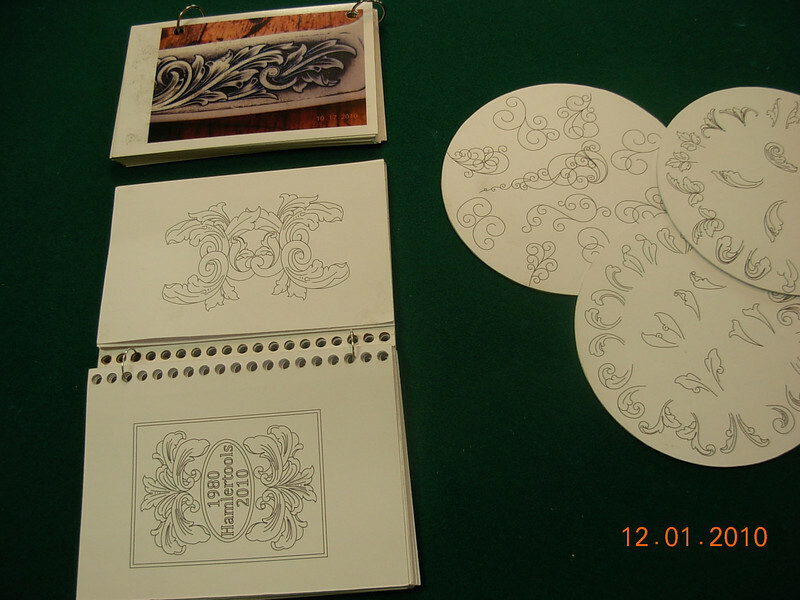 Im interested in learning scrollwork to apply to leather working (I am a newbie to it, but I practice on belts, holsters, saddle/tack parts for myself). After searching all last night for basic scroll, I find myself reading here. I'm most interested in what I assume is western scrollwork with the big sworls and leaves. Ive read a little bit about backbones and the like but I am really unfamiliar with many of the terms, even after reading throuh the whole glossary. I know it comes down to putting in the time at the drawing board, which I am eager to do, but I really want to learn fully how to design so I dont have to copy others work. I kept reading on one forum how newbies have all these problems, but after reading 7 pages of yeah we all agree, I still dont know where to start! So here I am, looking for a starting point to the basics of scroll! I have much to learn, and I hope I can find helpful info here. Re: Newbie looking for scroll! Hi Lo, Paul Hamler has a kit called "Scroll Drawing for Dummies"